If you’re looking for the perfect way to add earthy charm to your newly updated kitchen, shell backsplash tile is just the thing you need to consider. 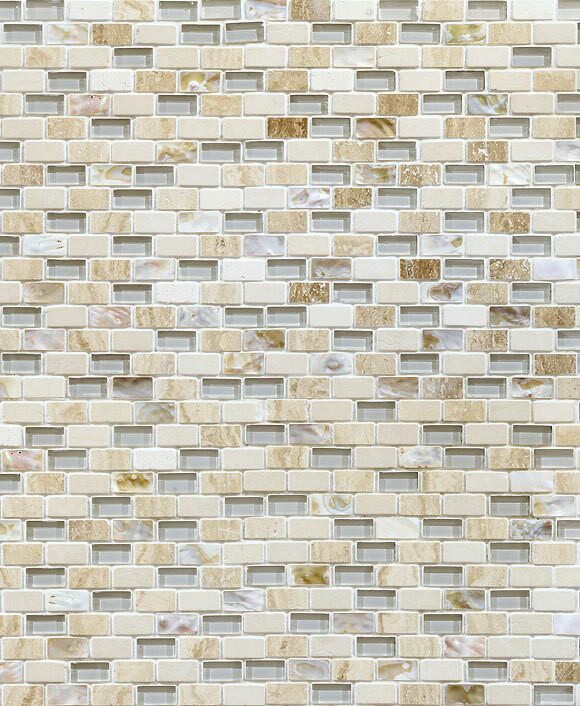 With the creamy whites and beiges swirled together in nature to create an earthy yet neutral color palette, shell backsplash tile adds charm and elegance to any space. You can opt for any number of mosaic patterns that incorporate deep black slate, sparkling glass, or cool grey insets to create the kitchen décor of your dreams. Whether your space leans more towards the comfort of a cottage by the sea or the modern appeal of a sleek and highly-polished finish, shell backsplash tile is likely to be an ideal choice. Allow the various hones and textures of natural shell to shine in your design. You can choose from lightly polished shell amid highly refined glass and slate or the softer texture of a less-polished and earthier elegance. Our beautifully curated collection of shell backsplash tile will elevate your kitchen to the timelessly elegant beauty that you’ve always dreamed about. Straight from the pages of a fashion magazine, your kitchen will be the envy of all your friends and family. Why Chose Shell Backsplash Tile? If you’re torn between the endless selections of materials for your kitchen backsplash tile, you can find comfort in knowing that shell backsplash tile is a popular option for a reason. Besides its inherent beauty, shell is a naturally low-maintenance material that draws attention. When it comes time to clean, simply wipe down your shell backsplash tile with a damp rag to clear off spills and stains. Mosaic tiles that are combined with equally low-maintenance materials such as glass, slate, and metal are wonderful choices as well to keep your kitchen sparkling and gorgeous for the years ahead.